#SingStreet – Review Repost – In Stores Now!!! Conor (renamed Cosmo) is starting a new school and dealing with family troubles when he sees the girl of his dreams, Raphina. When Cosmo, learns that Raphina is a model, he ask her to star in a video for his band. Only one small problem … he doesn’t have a band. He slowly gathers a group of friends with musical talents and names the band Sing Street (after their school Synge Street). Brendan, Cosmo brother and a pure music/video lover, abruptly tell him that Synge Street music is garbage and they will need to be more than just a cover band. Brendan tells Cosmo to write music and gives him “homework”. With a new sense of self, Cosmo gets back with his band and creates magic. It is not long before the bullies, the administrations, and … yes … Raphina take notice. You will need to watch to see what becomes of Cosmo, Raphina, and Sing Street. This coming-of-age story is a mix of Stand By Me and The Five Heartbeats with a Guardian of the Galaxy “killer” soundtrack. This period piece stays true to the 80’s fashion, music, and technology. 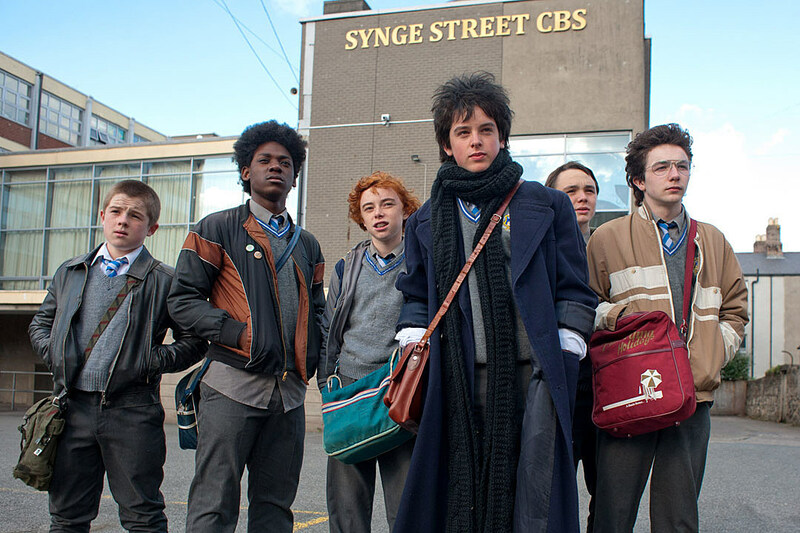 Sing Street, filmed in Dublin, uses its surrounding as an integral part of the story, not just a backdrop. Because of the accents, it may be difficult to understand the characters but it makes the story more authentic. You will sing, laugh, and even daydream of what could have been. This is not a good fit for anyone under 13 but a great movie. #HardcoreHenry – Review Repost – In Stores Now!! !